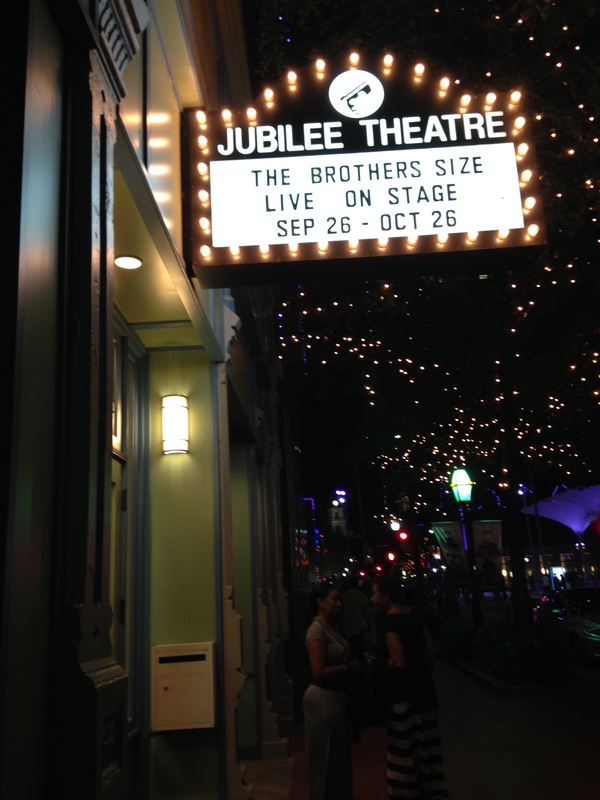 I was lucky enough to see THE BROTHERS SIZE at the Jubilee Theatre this past Saturday. The show runs through next Sunday – don’t miss it! Rest in Peace to Matthew Tomlanovich, a theatre teacher and pioneer in the DFW area who reinvented and revitalized The Margo Jones Theatre in Fair Park. Looking for something fun to see and/or do this weekend? Here’s your top 10 for this week! 1. Hailed by the Chicago Tribune as “the greatest piece of writing by an American playwright under 30 in a generation or more,” The Brothers Size at the Jubilee Theatre in Fort Worth is a an unforgettable theatrical experience that will leave you breathless. 2. Let’s do the time warp again! Only one week left to catch Frank-N-Furter, Magenta, Colombia and all your other favorites at The Rocky Horror Show at Dallas Theater Center in the Dallas Arts District! 3. Bonnie and Clyde is a new musical that blends the musical genius of Frank Wildhorn and the love story of two of Texas’ most famous outlaws. Don’t miss the show at WaterTower Theatre in Addison, Texas, which runs until November 2nd. 4. Tonight, Dallas’ runaway hit storytelling series, Oral Fixation (An Obsession with True Life Tales), will remount its 4th season opener featuring seven juicy true tales on the theme “Go With the Flow” at the famed Texas Theatre in Oak Cliff. 5. Enjoy playing in the sand? Catch Teotl: The Sand Show at Cara Mia Theatre, which opens this Friday in Trinity Groves. 6. If you think you have tasted every fried food in the world, you are sorely mistaken until you have made your way to the Texas State Fair in Fair Park. Big Tex will close the park this weekend, so hurry down and bring your appetite for both grease and great adventure! 7. As if the Dallas Arboretum is not beautiful enough at this time of year with its luscious pumpkin patches, there is also another exhibit that runs through December 2014 called the Dallas Arboretum Bird House Exhibit, which runs during the day from 9am-5pm. This exhibit features life-size playhouses designed by local architects. Visitors can explore the themed houses and learn all about the adaptations and lifestyles of various species of birds. 8. Don’t miss the Deep Ellum Wine Walk this Thursday, October 16th, where you can stop in at any of the participating venues in Deep Ellum and sample free wine at the businesses along Main Street. Who could ask for anything more? 9. From the band that brought you ON THE EVE at Theatre Three earlier this year, Sammons Park will host Patio Sessions: Home by Hovercraft, a free live music event where you can enjoy food and beverage in the park and listen with the whole family. 10. What better way to celebrate the 50th anniversary of one of the most famous art and art history museums than by celebrating with the most influential Spanish artist in the late eighteenth century? Check out the Goya exhibit at the Meadows Museum on SMU’s campus, which will be there until March of 2015.